Jazzy is an 8 year old, black/brown mare mule. She stands 14.2 hands. 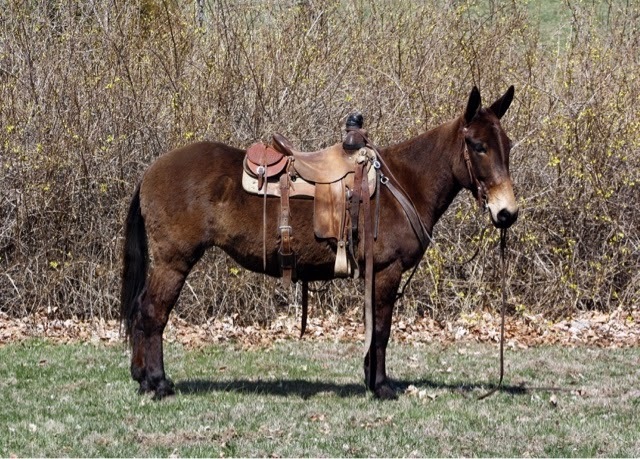 She is consigned to Jake Clark Mule Day Sale in Ralston, WY on Father's Day weekend. Watch for more videos and pictures of Jazzy in the coming weeks.